There comes a time in most college students’ lives, when they question whether that college degree and those classes will actually benefit them in the real world. For Marist alumna Rachele Fitz, though, the answer is a resounding yes. Graduating with a degree in fashion design and a minor in fashion merchandising in 2010, Fitz split her Marist years between hours in the fashion lab and time on the court as a member of Marist’s women’s basketball team. 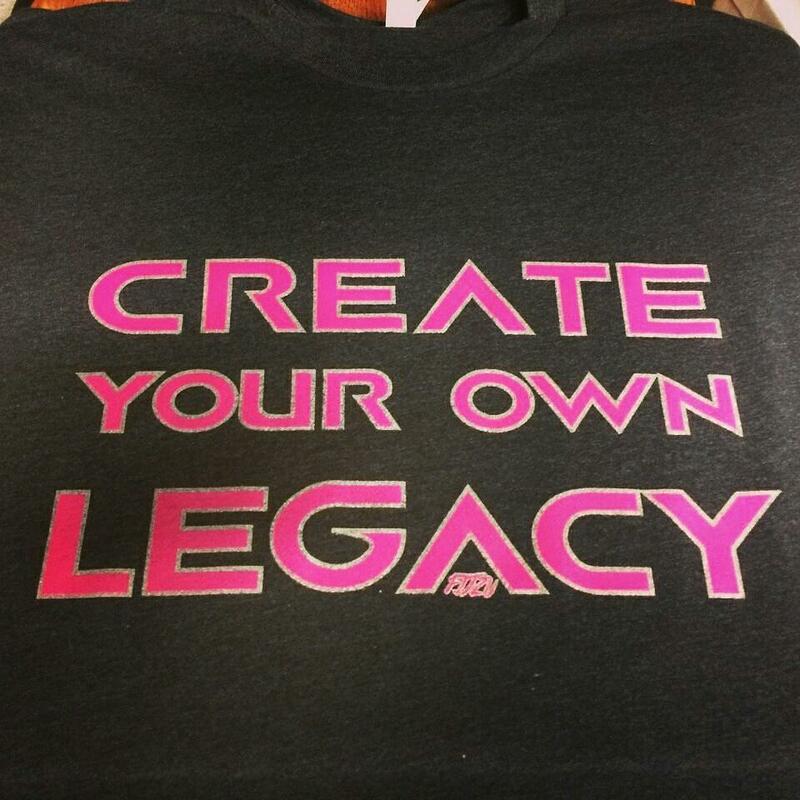 Now, four years later, Fitz has combined her two great loves and launched her own women’s athletic clothing line: FitzU Design. Combining style and practicality, Fitz’s line was designed with the intent to provide clothing for women in a sport where men’s clothing is usually the only option. 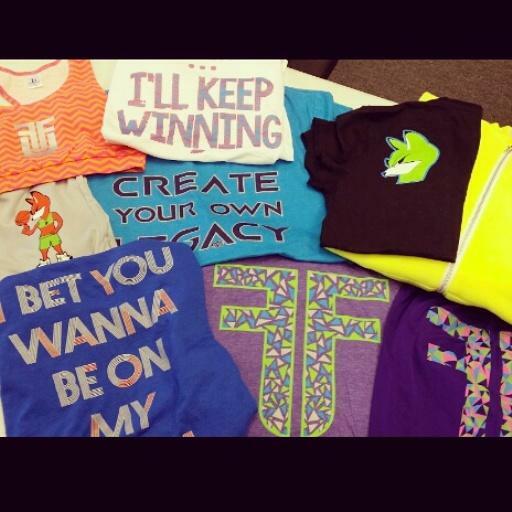 An assortment of FitzU t-shirts designed for female athletes. Photo courtesy of Rachele Fitz. Erin Doughty, the assistant coach of the women’s basketball team, agrees with Fitz. Too often she has noticed girls on the team struggling to find clothing that actually fits them. Although Fitz struggled with this while she was an athlete at Marist, the idea to design her own line didn’t strike her until she began working at Ohio Basketball. At the camps, Fitz coaches girls of all ages and trains kids on the side. It was at one of their tournaments while watching the girls play that the idea was born. She then went to Ohio Basketball, who agreed to help finance her line. Starting with basketball shorts and t-shirts, the line expanded to include leggings, sport bras and long sleeve shirts. Debuting in early 2014, Fitz began selling her products at Ohio Basketball tournaments, and this past summer she officially launched the FitzU Design website where customers can shop and buy online. While Fitz has enjoyed success so far, usually, starting a fashion line is a difficult task. Sonia Roy is a professor in the Marist Fashion Department. According to her, there are two main hindrances to a successful launch. First, just the cost of a start-up design and finding places to produce the product for a reasonable price are major obstacles. Second, once the product is created, a designer has to find a way to distribute it, whether online, in stores or by some other means. Even though the internet is widely accessible, the challenge is bringing people to the site. However, Roy acknowledged that Fitz has an advantage that other designers don’t: extensive knowledge of the field and market. For Fitz, though, it was her education from the Marist Fashion Department that prepared her for starting her own business. While at Marist, Fitz was immersed in a wide range of classes from designing to sketching to product development, giving her a view of the fashion industry as a whole and all of the intricacies that accompany it. One of the t-shirt designs by FitzU. In addition, the professors in the department pushed Fitz beyond her comfort zone as well as provided the support she needed. Beyond the classroom, the Silver Needle Fashion Show sponsored by the Fashion Department every year is another way for students to gain real-world exposure. Students collaborate and create the whole event from designing the clothing to fitting the models to organizing the details. For current students as well, the fashion department and Fitz’s success provide encouragement for the future. Abbie Tyler is a junior fashion merchandise major currently interning with the Marist in Manhattan fashion program. In regards to Fitz, Tyler notes how important it is to see a former Marist student succeed in the business, despite the obstacles. Fitz’s success has also impacted potential fashion majors on the basketball team as well. Doughty notes that being able to use Rachel as an example of what the Fashion Department offers, encourages athletes and fashion majors alike. And while competition on the court and the fashion world is fierce, Fitz feels prepared to handle all areas of it. To view the full line of FitzU products, check out the website at fitzudesign.com or follow it on Facebook, Instagram and Twitter. This entry was posted in Uncategorized and tagged Clothing, Fashion Department, Women's basketball. Bookmark the permalink.